There is a whole lot of CV writing advice out there, but all of it would agree on one crucial point: keep your CV updated. After all, it is your key to getting your foot through the front door and into an interview. 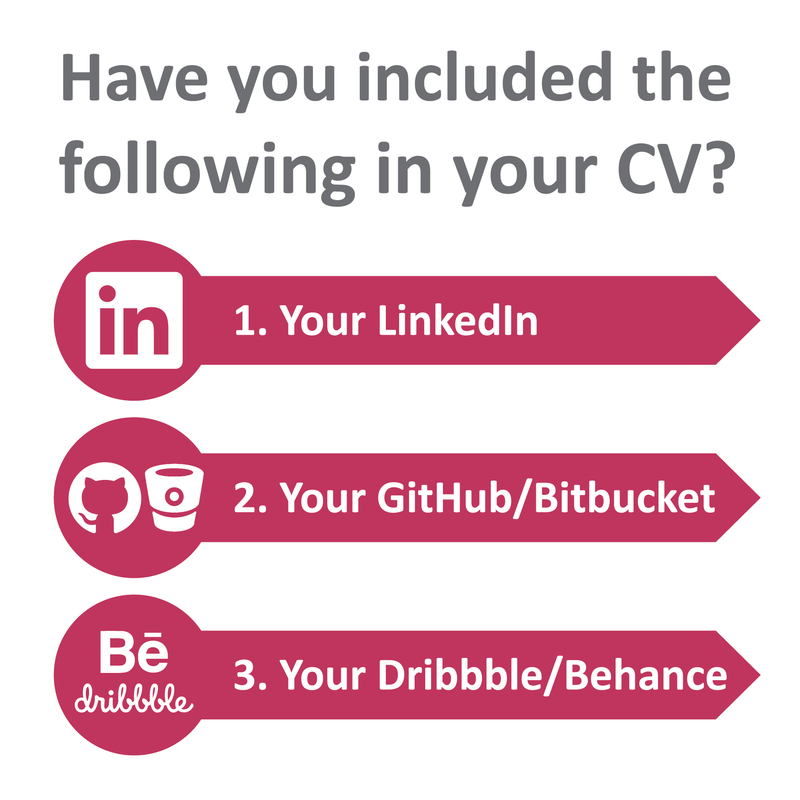 However, as an IT professional, unless your CV works in synergy with your online brand on sites such as GitHub, LinkedIn or Dribbble, you’re missing a big opportunity to add value to your next job application. The world is more connected now than it has ever been. The Internet of Things is driving the inter-networking of essentially anything electronic, from your car, mobile phone to even your house’s security system. Many managers in the technology sector are now expecting the same level of synergy from your CV. In fact, it’s almost inevitable that employers will look you up online so it’s important you direct them to the content you want them to see. To ensure your CV doesn’t let you down when applying for your dream job, here are several things you should consider the next time you’re re-writing it. 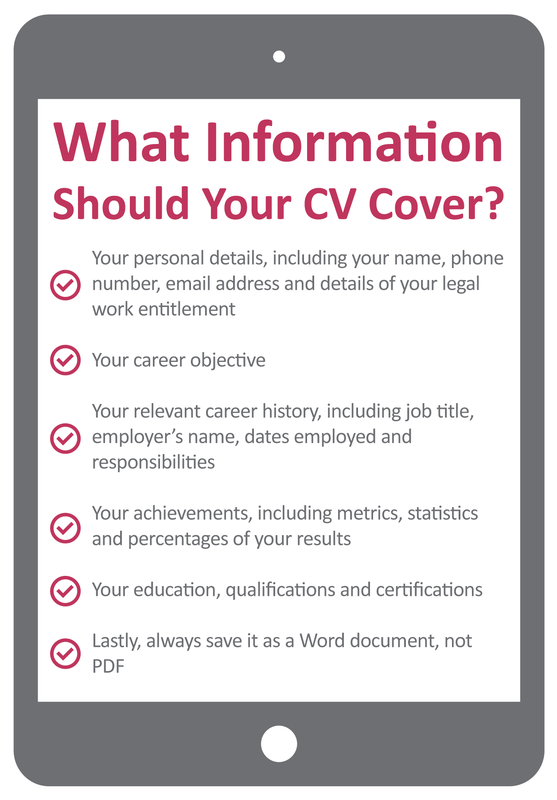 Click here to download our CV template. As a professional in the IT space, you likely own one or more online accounts that showcase your professional skills, examples of your work or status within your industry. Below are a few examples of several accounts that we’ve seen included in strong applications. To get the most out of your LinkedIn profile, it is a good idea to consider it as an extension of your CV. This means that it should go beyond showcasing the same information that could be found on your CV but it’s essential that you make sure both are consistent especially regarding dates of employment. One way it can do this is through having strong recommendations from previous managers and clients that you have worked with who can vouch for your skills, experiences, achievements and work ethic. If you want to fully leverage your LinkedIn profile, it’s important to be as active as possible. LinkedIn is a fantastic platform that enhances both your network and your personal brand when used correctly. Frequently liking, commenting and sharing content is a great way to build your personal brand and posting your own articles and keeping your profile updated will make you more visible to recruiters, which in turn can lead to more career opportunities. If you’re a Developer, your GitHub or Bitbucket account is a fantastic resource to include on your CV because it demonstrates examples of your work. It can also provide insight into your community and industry reputation through the contributions you’ve made and the number of people following you. When employers have a few high calibre candidates to choose from, this extra level of detail can often help to influence their decision. It’s also worth noting that even if you don’t include links to your accounts on your CV, managers and recruiters can still find your code repositories online. So, our advice is to check what is publicly available and keep your portfolios clean by removing any old or forgotten repositories. Finally, if your GitHub or Bitbucket are bare and you’re not working on any commercial projects right now, it can be worthwhile to include any personal projects that positively reflect your skills. Building a strong Dribbble or Behance account can take dedication and a lot of hard work but the payoff can be huge. As with many social media networks, the key is to build up your follower count and the best way to do that is through actively posting new work so your account is more likely to be seen, promote the work of others and become associated with other great designers. In that first moment when a prospective employer reads your CV, you need to leave an impression that’s going to make them want to know more. 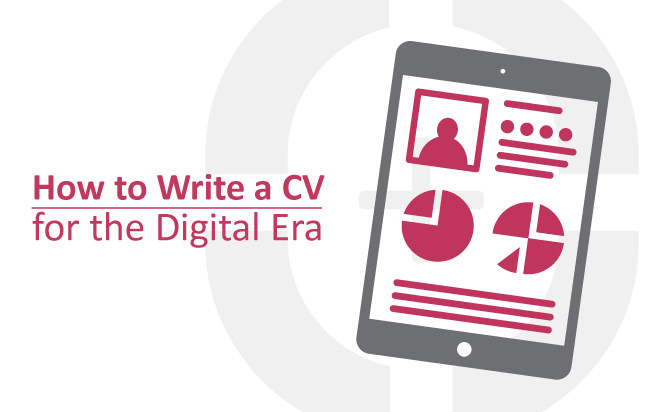 In today’s world, your CV can’t do everything you need it to on its own, so solely relying on it will rarely achieve that. Instead, you should use social media like GitHub, Dribbble or Behance to create an experience that highlights why your skills and experiences make you a great fit for the job. If you’d like to know more, don’t hesitate to contact us today.